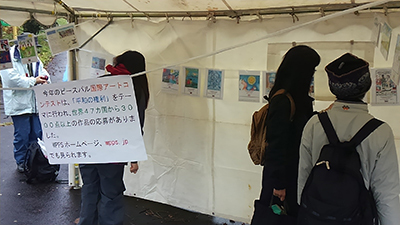 On November 9th, We had the 17th International Peace Pals Art Contest Exhibition /Ambassadors of Peace Exhibition in Fuji City, Japan. It was unfortunate that we had rainy and cold weather on the day. 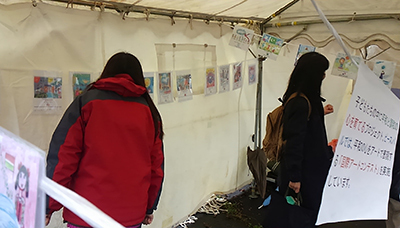 We had less visitors from last year, but who visited our booth was equally impressed by the quality of the winners paintings as well as ethnic variety of the Peace Pals Ambassadors of Art. We hope that our exhibition attracted the visitors and tempted their will to host the exhibition in their local area to share the joy.